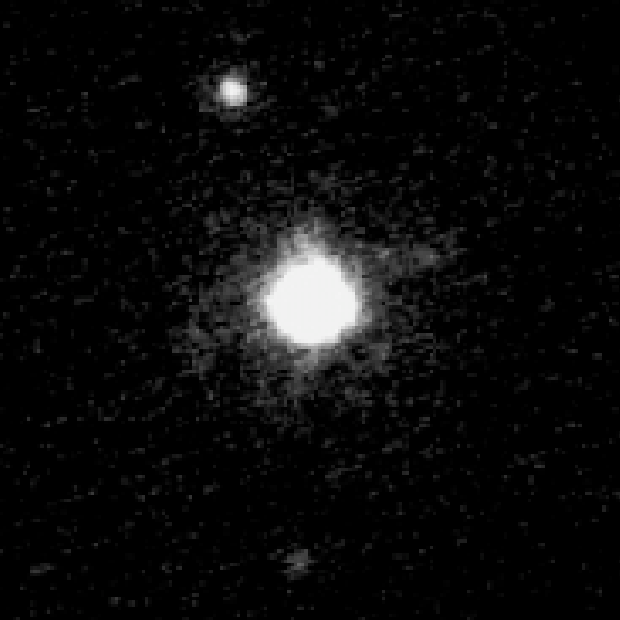 Haumea is the third closest dwarf planet from the Sun and is unique in its elongated shape making it the least spherical of the dwarf planets. A day on Haumea lasts 3.9 hours. Haumea’s characteristic extreme elongation is probably caused by its rotation, which is so rapid it turned it into an ellipsoid. Its rotational speed as well as its collisional origin also make Haumea one of the densest dwarf planets discovered to date. In 2009 a dark red spot was discovered which stands out from surrounding crystalline ice. It’s thought this spot could be an area of the dwarf planet that is with a higher concentration of minerals and carbon rich compounds than the rest of the icy surface.